The concept of premises liability is that a landowner or business owner has a duty to safeguard the people who come onto the land or into the business from harm, to varying degrees. 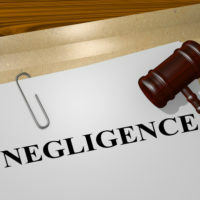 An offshoot of that area of law is called negligent security, and a negligent security claim can be brought against a landowner or business owner when you are injured or your property is damaged due to the dangerous actions of a third party. Sometimes such claims can be difficult to bring in Florida, but it can be done, especially with the right attorney on your side. The law of premises liability in Florida holds that a landowner owes a duty to protect his visitor or visitors from reasonably foreseeable dangers, depending on the status of that visitor. There are three types of visitors that are recognized: invitees, who are invited onto the property, such as customers to a business or an invited family friend at a private home; licensees, who are permitted on the property and come on their own business, such as door-to-door salesmen; and trespassers, who are unauthorized entrants to the property. Each type is owed a different duty of care. Generally, a landowner does not owe a duty to protect their visitors (any of them) from injury sustained because of a third party’s actions. However, there are exceptions carved out by Florida’s past cases, and one of them is to guard against particularly “foreseeable criminal acts” against invitees – in other words, to protect invited guests (as opposed to trespassers, to whom no duty is owed) against acts that were foreseeable and potentially avoidable had the landowner taken appropriate precautions. Certainly not all crimes are foreseeable, but some are, and if a landowner does not try to protect his visitors from them, it can be argued that they might be liable for any injuries that result. In order to win a negligent security case in Florida, you must be able to demonstrate three specific factors were in play in your situation. The first is that you must show the landlord or the owner of the location had a duty to make it as safe as possible for visitors – for example, if you were mugged in a nightclub parking lot, you would have to demonstrate that the club’s owner also had a duty to police the parking lot and to install basic safety measures like security cameras. The second factor is showing that the owner did not do this – in our example, a simple question to the owner would lead to the admission that no cameras were in the parking lot. The third factor is arguably the most difficult to prove – that you suffered harm as a direct result of the owner’s actions (or lack thereof). This can be especially difficult if you did not experience a tangible injury, like broken bones or sexual assault – if you developed, say, post traumatic stress disorder (PTSD) as a result of being mugged in the parking lot, it can be difficult, but not impossible, to link your condition with the episode. In some cases, a defendant may also attempt to argue that you, the plaintiff, are partially at fault for your own injuries, but even if the court agrees, Florida’s comparative fault law still permits recovery. Experiencing any kind of violent assault can leave long-lasting scars on the body and mind. If you have suffered this kind of treatment, and believe that it could have been avoided, calling a Tampa negligent security lawyer is a good first step toward determining whether you have a case. The Rinaldo Law Group attorneys will listen with patience and compassion, and will help you decide how to proceed from here. Call us today for a free consultation.